Question: What is Speech Recognition? 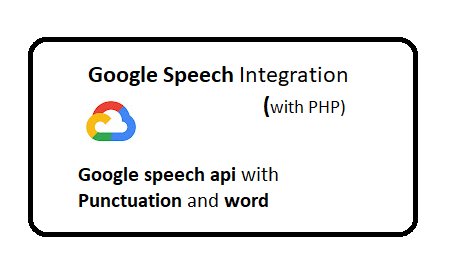 Google Cloud Speech-to-Text enables developers to convert audio to text by applying powerful neural network models in an easy to use API. The API recognizes 120 languages and variants. Question: Does it provide Speech Recognition for real-time streaming? Yes, Its provide for both real-time streaming or pre-recorded audio. Question: What are the different languages for it provides speech to text? Question: Does it return immediately? Cloud Speech-to-Text can stream text results, immediately returning text as it’s recognized from streaming audio or as the user is speaking. For short audio (less than a min), It return results. For Longer audio, Its take time (1min -20) depend on audio file length. Question: What are different Models for Speech to Text? command_and_search: Best for short queries such as voice commands or voice search. phone_call: Best for audio that originated from a phone call . default: Best for audio that is not one of the specific audio models. Question: What are the pricing for speech to text? Question: How to set private key in the environment? Question: How to get punctuation in results? punctuation are the character which we use in written. for example comma(,), perios(. ), question mark?. You can get the punctuation in transcription results by providing enableWordTimeOffsets=true in the config. Question: What is office link for speech to text? Question: What is Github link for speech to text? Question: How to install the SDK for speech to text? Question: How to get the transcription for small audio file.? // Recognize the speech in an audio file. Question: How to get the transcription for heavy audio file.? for heavy files, make sure you have already uploaded to google cloud and you have path. You can get the results by using Operation Name.